German model Lina Berg, after 3.1 Phillip Lim, NYC, February 2015. After A Show, Paris, October 2014. 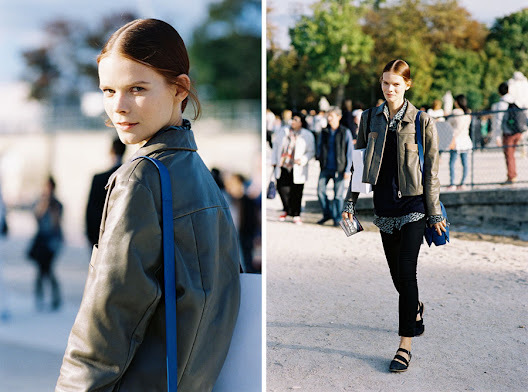 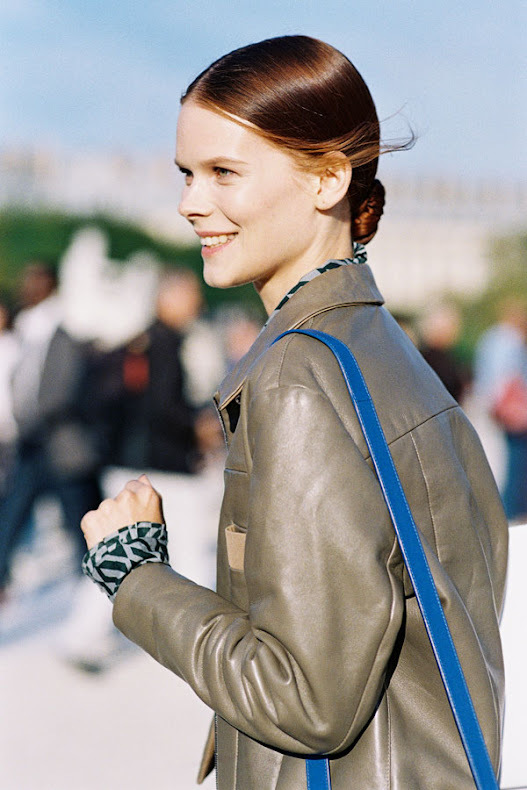 German model Larissa Hoffman, after A Show, Paris, September 2014. 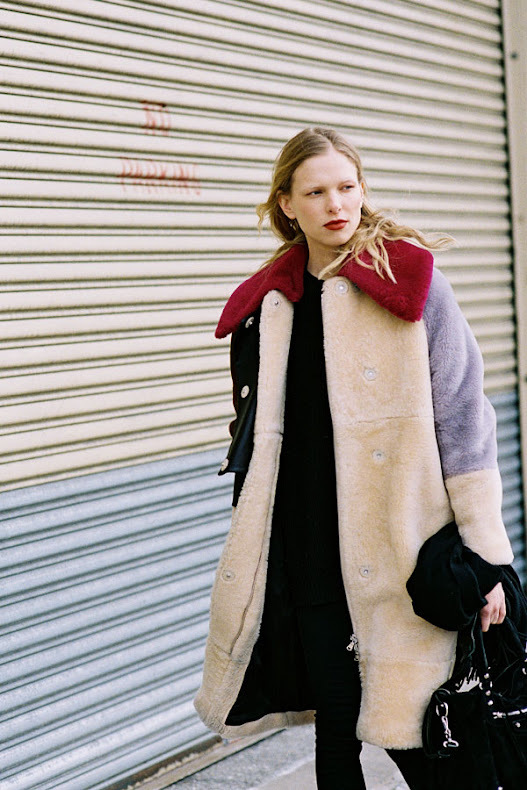 Chiara Ferragni of The Blonde Salad, before A Show, NYC, February 2015. 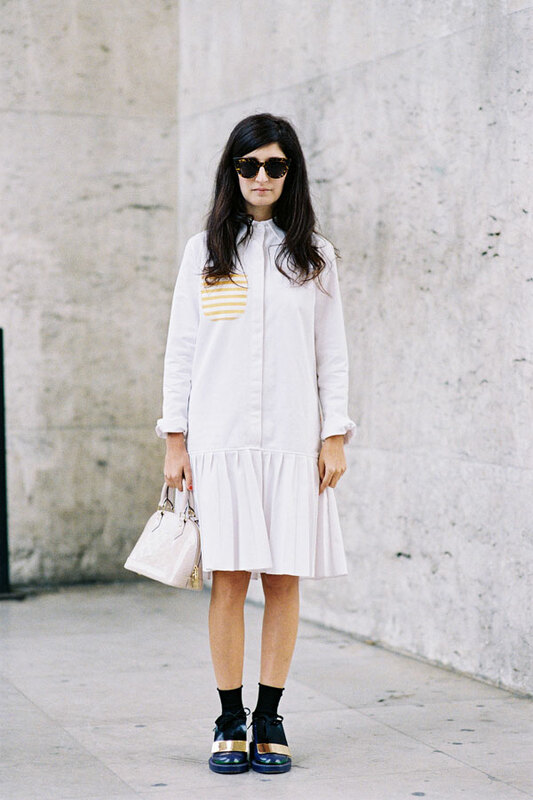 Eleonora Carisi, after Tommy Hilfiger, NYC, February 2015. 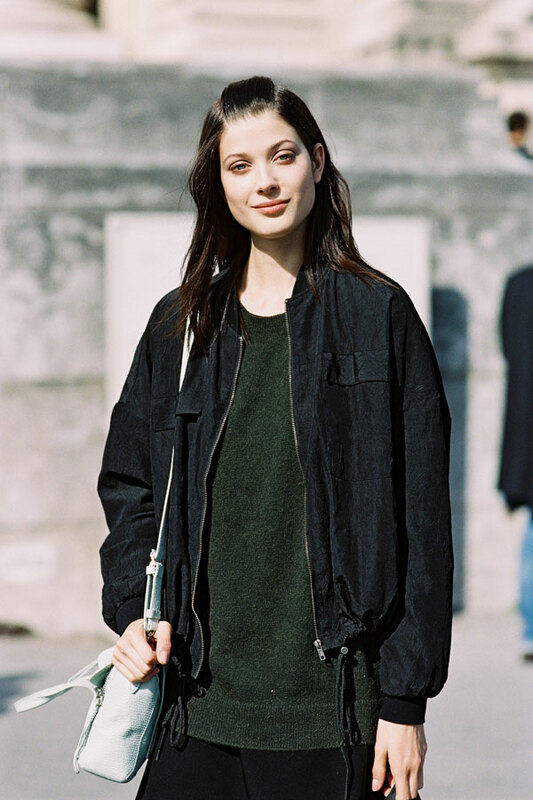 Polish model Sasha Antonowskaia, after Elie Saab, Paris, March 2015. 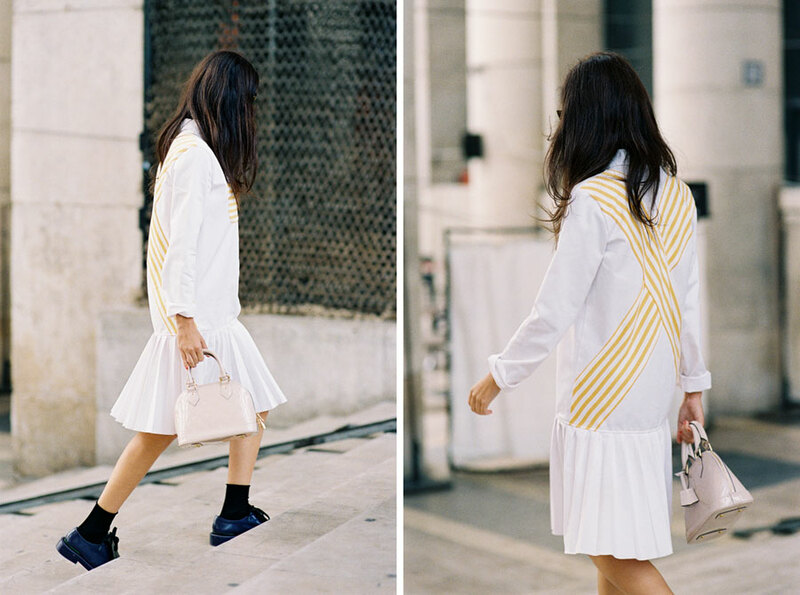 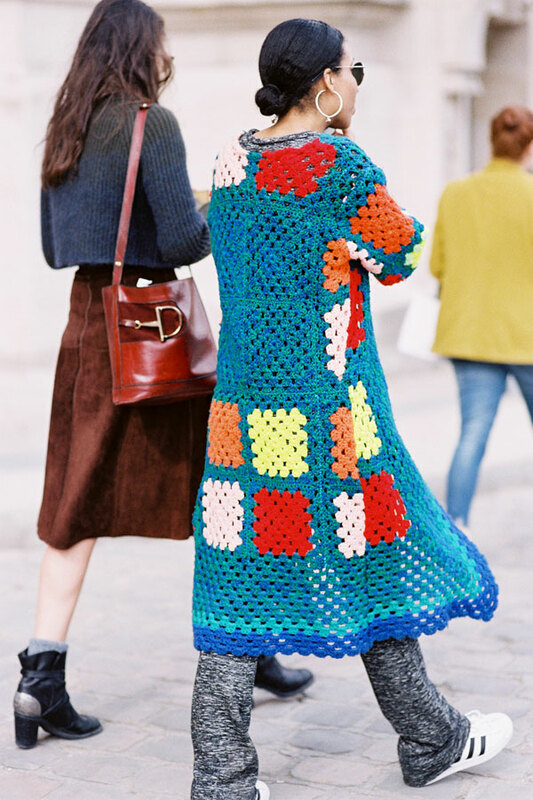 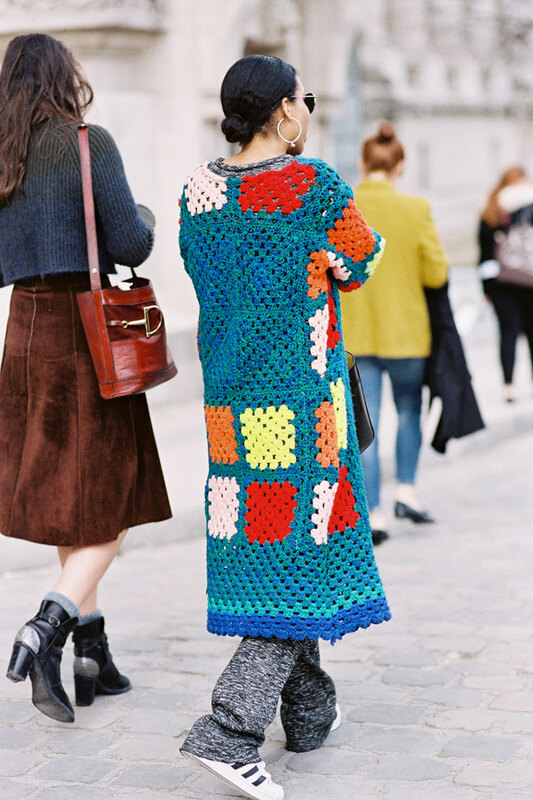 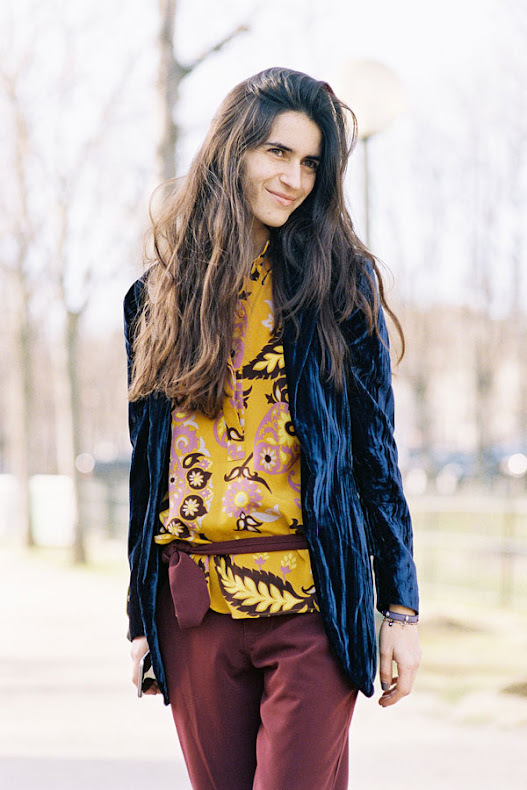 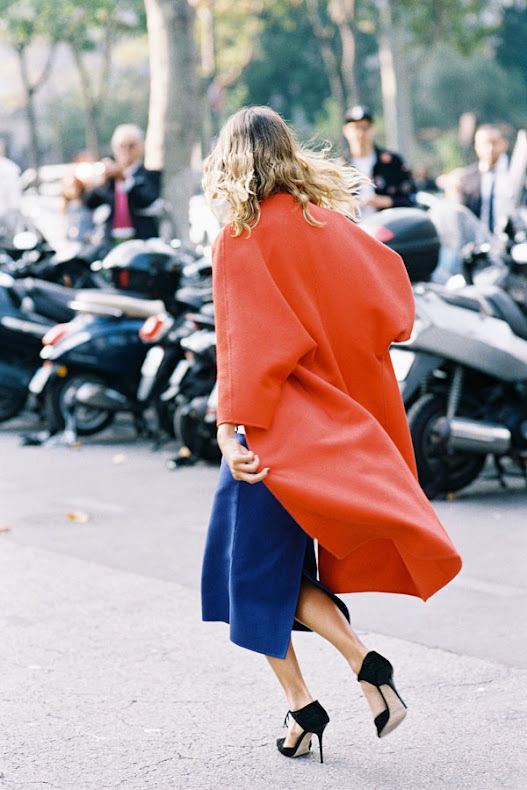 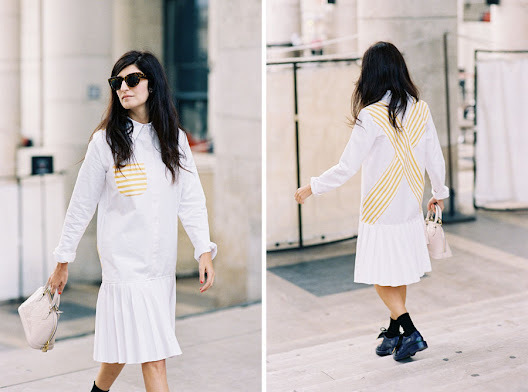 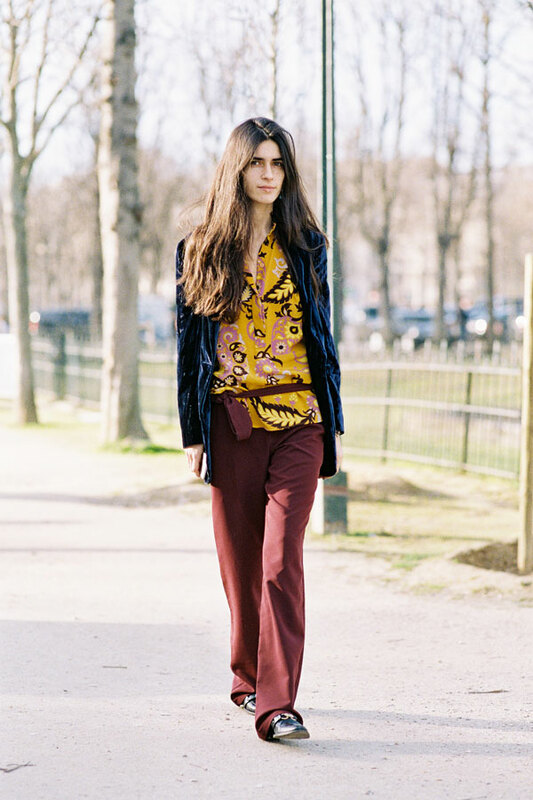 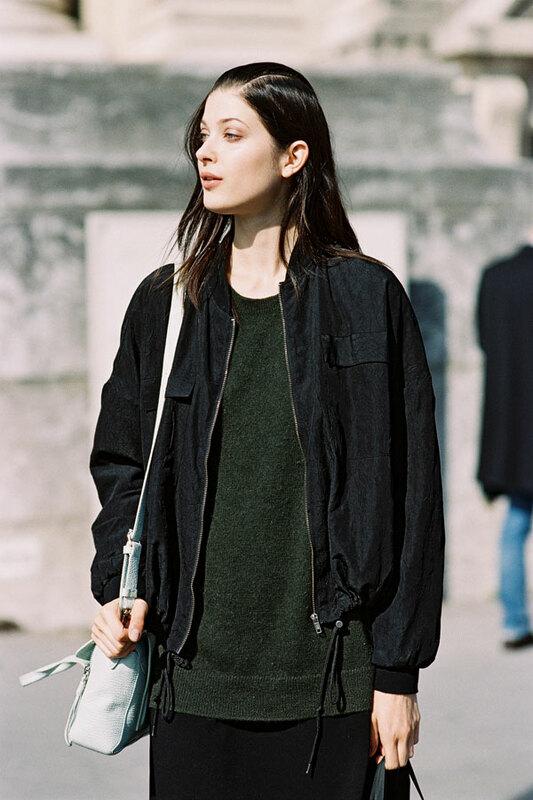 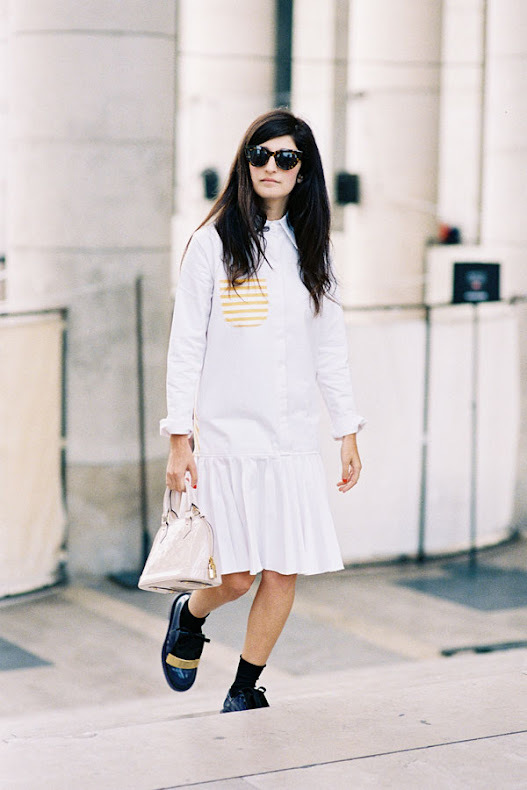 Stylist Chiara Totire, after Chloe, Paris, March 2015. Senior Fashion News Director Glamour magazine, Jane Keltner de Valle, Before A Show, Paris, March 2015. A very elegant sleeveless coat dress/trench dress. 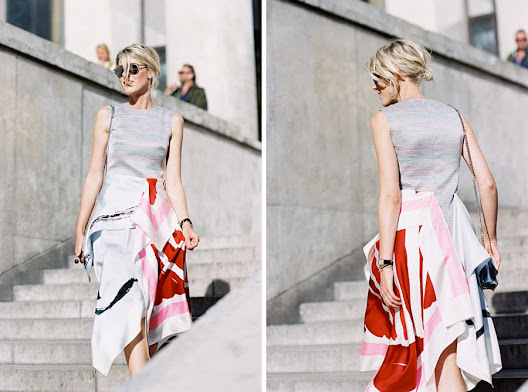 Sofie Valkiers of Fashionata blog, before A Show, Paris, October 2014. 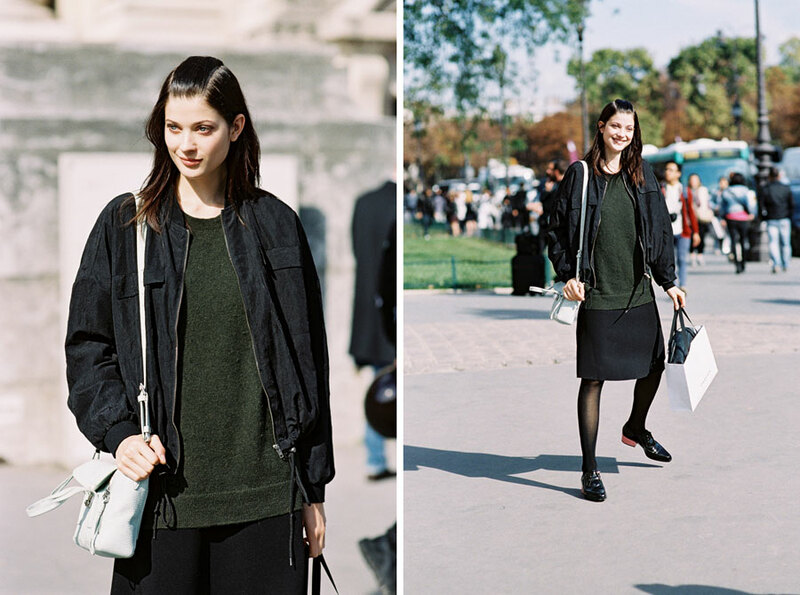 Ukraine model Irina Kravchenko, after A Show, Paris, October 2014. 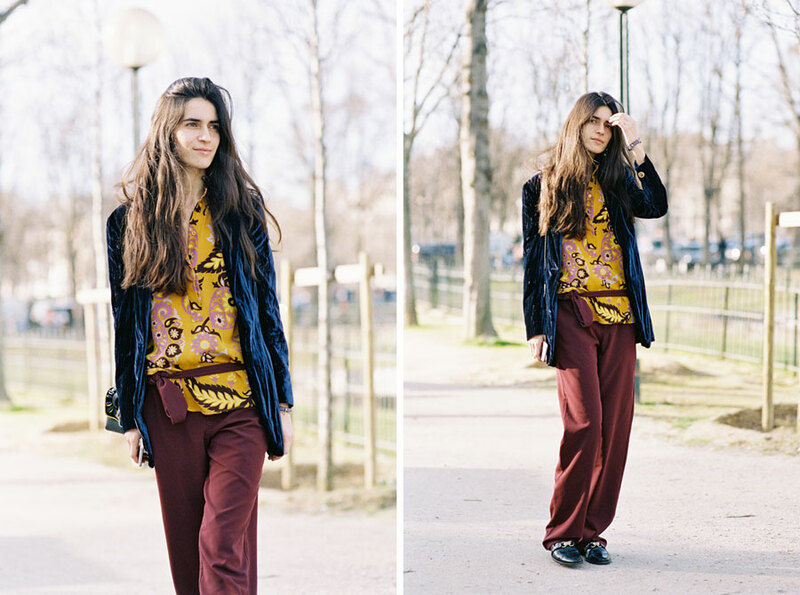 Valentina Siragusa of Factory Style blog, before A Show, Paris, March 2015. A fresh shirtdress with lovely stripey detailing. 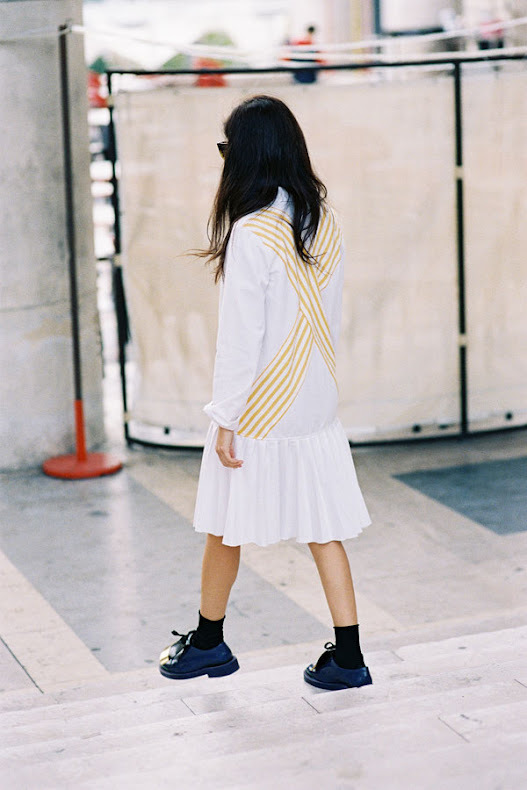 Candela Novembre, before A Show, Paris, October 2014.